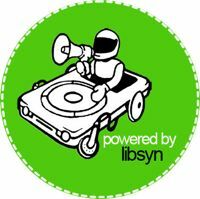 We know stats accuracy is an ongoing issue and that libsyn users have had to exhibit a lot of patience and swallow a lot of frustration as we’ve worked through the problems over the years. We took the first step of identifying and fixing the issues with the current libsyn.com stats (mainly, some episodes published after July 2007 not showing up in the system, or suddenly stop reporting downloads). We sifted through the code that processes the raw data into data we can use in the reports we provide to you, and believe we have identified the root of the problem, as well as the fix for it. We’ve set up a test environment, applied this fix, and are now in the process of re-processing the raw data from Summer 2007 forward and verifying that this “fixed” data is accurate. Depending on how that verification goes, the reprocessing could be finished in as soon as 7 – 10 days. We are working on a plan that will provide scalability, flexibility for us in terms of administrating the application, and will give us the ability to continue to store historical data indefinitely. Libsyn note that, while they are reprocessing the older data, stats updates will happen less frequently. Full details at the Libsyn blog.